To sum Houston rapper, Paul Wall, up as merely a rapper, is not doing justice to who Wall is â€“ a family man, a business man and a music man. A large portion of Wallâ€™s time is spent operating Grills by Paul Wall, a jewellery business that Wall and his partner, Johnny Dang, have exclusively branded through its unique grills. Dangâ€™s technique in setting diamonds on grills makes a Dang grill less bulky than its predecessors, â€œAt the time, a lot of people were doing their grills and they were sticking out far, so people were walking around with buck teeth and horse teeth,â€ says Wall. Wallâ€™s sophomore album, Get Money Stay True, debuted on Billboard charts at number eight, selling 92,000 copies in its first week â€“ a champion effort in rap musicâ€™s declining sales, a decline that is likely to continue with media coverage on rap musicâ€™s ominous influence on youth. Wall consciously acknowledges rap musicâ€™s influence on youth, however, as the artist, Wall explains that his creativity has to be released without restraints. â€œA lot of times I think back to my grind or how it was five years ago when I would drive from Houston to St Louis and back in the same day, just to go get some money,â€ he says. Format: Prior to Don Imus saying â€œnappy headed hoâ€ on ABC and NBC radio, the public perception was that the media and the African-American community did not severely address offensive rap lyrics. Why did it take the comments of a white radio jockey to raise extensive concern by the media and the African-American community, towards offensive rap lyrics? Paul Wall: I think, because everyone had such a big problem with what he said and a lot of the media, it’s kind of their job, I guess, to be the watch guard over what’s going on, at the same time they question everything that is going on and that’s the media’s job, and that’s why we’re such a great nation that we are. The fact that he referred to some people that he don’t even know, a respectable basketball team, as hoâ€™s, was bad. If he used the term hoâ€™s, I don’t think there is nothing wrong with him using the word ho. If it’s a ho, then you call a ho a ho, if it’s not a ho you don’t call her a ho and I don’t think a basketball team are some hoâ€™s, so he shouldn’t of called them some hoâ€™s. The biggest problem is when he referred to them as nappy headed hoâ€™s, that’s when he made it racial and that’s not right, that’s not right at all. Sometimes it takes the strangest things to happen to make a change. I think it is bad what he did, but I think it’s producing a positive outcome, because itâ€™s getting a lot of people involved. A lot of people are questioning whatâ€™s going on with the music, questioning what people are doing when they make their music and I think itâ€™s a great thing, because even though it is a form a censorship, which isnâ€™t always good, itâ€™s providing limitations, but encouraging artists to get in and make positive changes to the music. Format: In April 2007, Russell Simmons appears on CNN and announces that â€œho,â€ â€œbitchâ€ and the n-word are â€œextreme curse wordsâ€ and wants to ban the words on clean versions of rap on radio and television. In your opinion, what effect will this possible change have on rappers and their message to youths? Paul Wall: Iâ€™ve been hearing a lot of rumors about a lot of radio stations that have agreed to stop playing vulgar music, stop playing any music that they consider degrading to music and Iâ€™ve never made music that is degrading to women so itâ€™s not going to effect me. But the part that does affect me, the sexually explicit content, because there are a few songs that I have that are sexual. For instance, there is a song on Get Money, Stay True called â€œThat Fireâ€ with me and Trina, actually, that song is inspired by my wife â€“ she used to always joke around with me about how she had that fire whenever we would get in the bedroom. Itâ€™s very vulgar, itâ€™s not degrading, at all, but it is very vulgar and graphic in terms of the sexual content thatâ€™s in it, but it is about my wife. At the same time, there is a song we were thinking about running with as a single, but now the radio have agreed to not play any sexual content, in terms of music, it makes us go back to the drawing board. It does affect me in some ways, but at the same time, when you make music you just want to make music, at least I do. When I make music I just want to go in there and make music, whatever Iâ€™m feeling I want to get off my chest. Whatever track that a producer made that inspires me to write, I want to write about whatever Iâ€™m inspired to write about. My music is always inspired by my lifestyle. A lot of times I think back to my grind or how it was five years ago when I would drive from Houston to St Louis and back in the same day, just to go get some money. Thatâ€™s what inspires me to make my music and I donâ€™t want to have any kind of deterrent that says I can make music, but as long as itâ€™s not about this or that. When you start having limitations on what you can and canâ€™t do it starts taking away from the artist. At the same time, there is a responsibility that people have as artists, as musicians to the community as a role model and leader to do things that donâ€™t have a negative effect. Itâ€™s a double-edged sword, it goes both ways. Format: In April, Harlem rapper, Camâ€™Ron, is on 60 Minutes explaining the â€œno snitchinâ€™â€ to police policy that he lives by and glamorizes to youths. What is your opinion on the â€œno snitchinâ€™â€ message that rappers are glamorizing to youths? Paul Wall: For a long time, there have been a lot of people in the inner city that have been kept down by the police department and corrupt police. Of course, not all police are corrupt, there are very few that are corrupt and do evil in the community, but there are like a sore thumb that stick out and people get caught up by being held down by the police. People donâ€™t want to cooperate with them, they feel like theyâ€™re going to hurt themselves, rather than help themselves if they help the police. Personally, Iâ€™ve never been in a position to cooperate or not cooperate with police. I just make my music, love my family and do my thing, I donâ€™t get involved in none of that. Format: If a serial killer lived next door to you in â€œapartment 4E,â€ what would you do? Paul Wall: I would move. Format: Currently, producers are casting a shadow over the rappers theyâ€™re producing music for, especially Timberland. In your opinion, are large name producers crucial to an albumâ€™s success? Paul Wall: I think, when it comes to the publishing, the producer gets 50 per cent and the artist gets 50 per cent, and I think thatâ€™s how a lot of the music should be. Whoever produced the track contributed 50 per cent to the song and the same thing for who writes the track. Itâ€™s a great thing, man, I think [producers] deserve their chance to shine. Theyâ€™ve been producing for so long and artists have had the spotlight. I know when I make music, we put it together and we do our thing, and the producer is just as big a part of it as I am. If the song ainâ€™t bumping than the song ainâ€™t going to be jamming, hands down. No matter what youâ€™re saying on there, how it sounds or who is rapping â€“ if the beat ainâ€™t jamming then the song ainâ€™t going to be jamming. I think they deserve their credit. Format: How did you select the producers for your current album, Get Money, Stay True? Paul Wall: We had a producer by the name of Mr. Lee, who is a well-known guy in Houston that contributes to a lot of peopleâ€™s albums, so we went in there wit him and T. Farris. T. Farris he comes up with a lot of songs, the concept and the theme. They came up with production and we just went to work, theyâ€™re phenomenal at what they do. Format: Youâ€™re the owner and operator of Grills by Paul Wall. 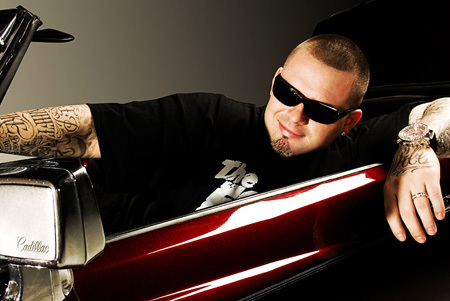 Does your celebrity as Paul Wall, the rapper, interfere with Paul Wall, the jeweller? Paul Wall: Sometimes, at the jewellery store it definitely does, because people come in and want to take pictures, get autographed and that distracts the customers from purchasing jewellery. Thatâ€™s why I donâ€™t really go to the jewellery store no more, unless Iâ€™m doing autograph signings or we have a big release of a new type and style of jewellery. I will say that Grillsbypaulwall.com, me being a celebrity, allows me the opportunity to promote the website full-time and everywhere I go, every chance I get, I promote it 100 per cent. Format: The film Blood Diamond raised public awareness on how diamonds are yielded. 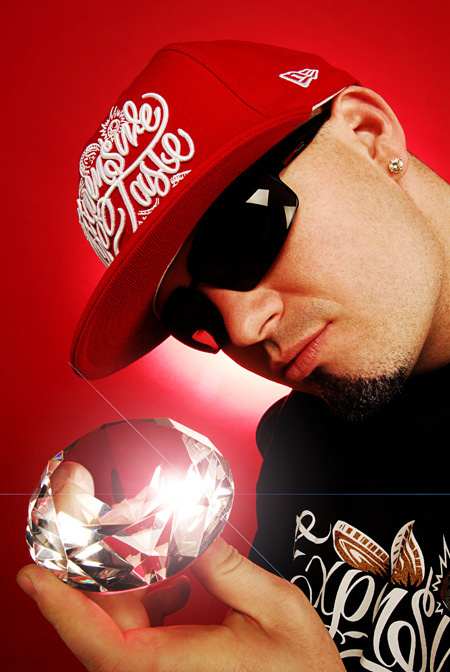 How does Grills by Paul Wall determine what is a conflict diamond and what is not a conflict diamond? Paul Wall: The term conflict diamond is about a diamond that is discovered or sold out of an area that has a conflict or war torn country. They still refer to blood diamonds as diamonds that are sold on the black market or diamonds where people are enslaved to the mines. Itâ€™s a sad thing thatâ€™s going on. Actually, I took a trip Sierra Leone, before we even knew there was movie called Blood Diamond. When Kanye West mentioned Sierra Leone in a song and hearing him say Sierra Leone in a song, I had never heard of Sierra Leone before, I never even knew there was a country Sierra Leone or knew anything that was going on over there. We took a trip over there, we did a documentary with VH1 called Blingâ€™d: Blood, Diamonds and Hip-Hop and it just showed our expansion by going to a war torn country and seeing what life is like over there. The diamonds were not the cause of the war, but diamonds definitely did fuel the war. It was a sad thing to see what was going on over there. Weâ€™re trying to make a change and a difference for the people over there. At our jewellery store we used to buy our diamonds from a company that, actually â€“ when we researched them after I went to Sierra Leone, me and my partner Johnny Dang, we did a lot of research on where we were getting our diamonds from. We had a lot of unanswered questions when we started digging deeper. We switched our company over to a diamond company that we buy wholesale from based in L.A.
Itâ€™s really hard to determine the life line of a diamond, or where they are found, because they get sold off to India where theyâ€™re cut and polished in India, then sold back to Belgium and different places, then to London and to America. Diamonds have a lot of stops on their route from when theyâ€™re born to when they get to the jewellery store and when we put them in your grills, watches and earrings or necklace. There is a lot of research and I encourage other jewellers to do that, too, and make sure youâ€™re not supporting diamonds on the black market. At the same time, it ainâ€™t about not buying diamonds from Sierra Leone, because one of my boys that went with me, Tego Calderon, he was like, â€˜Iâ€™m never going to wear diamonds again, after seeing thisâ€™ and the people got upset when he said that. It ainâ€™t about not buying diamonds from Sierra Leone, because if you stop supporting Sierra Leone and diamonds from Sierra Leone, you cut off their life line, their income and their economy, because their number one export is diamonds. If you donâ€™t buy diamonds there will be no hope for the future of Sierra Leone. Support it to the fullest, but make sure you donâ€™t buy them from the black market. Format: In a XXL interview, you say that you worked with Johnny Dang, because he places diamonds on grills unlike anyone else. What exactly separates Grills by Paul Wall from other grill producers? Paul Wall: The thing about it, now, is that Johnny owns the workshop so most of the grills that you see out there, even if you go to a different jewellery store to buy them, theyâ€™re buying their wholesale from us. Weâ€™re making them for a lot of other jewellers, so our biggest competition is ourselves, because weâ€™re doing wholesale for almost all the jewellers that do grills and a lot of other regular jewellery. Even you donâ€™t come to us, weâ€™re still making your jewellery, a lot of the time. The way Johnny did them, he didnâ€™t do them real bulky when he set the diamonds. At the time, a lot of people were doing their grills and they were sticking out far, so people were walking around with buck teeth and horse teeth. Format: How do grills define the people that wear them? Paul Wall: As a rapper or general consumer of a grill, itâ€™s a fashion statement â€“ itâ€™s a symbol of success that we made it. You buy some earrings, you buy a watch, you buy a chain, you buy a grill. A lot of older people put the gold in their mouths for a lot of different reasons, but I know originally, it was out of poverty â€“ it was not a choice, it was out of lack of choices. They couldnâ€™t afford to get their teeth cleaned, so they would go to the dentist and get a gold cap on their teeth. Now, a lot of older people get gold in their mouths for a lot of different reasons. What selfish, naive and ignorant trash you are propagating. I just watched the movie and while I appreciate this article and what it says about your research, I really felt that the movie lacked that element. I couldn’t find another forum to post a comment about the film, so I will just post it here. I was really looking for some form of overall responsibility, or commitment to change in the final moments of the film. I couldn’t believe how Raekwon was berating that mine manager without taking some responsibility himself. I know, he was ignorant until the trip, but no one even addressed that. No one made a suggestion to the audience that they research where their consumer goods come from. Just think of the clothes the rappers were wearing, their sneakers and the ones they brought. While that was a sweet gesture, who made those sneakers? Was it children in Asia, making 5 cents a day, losing fingers to sewing machines, breathing toxic fumes? I really think this movie could have expanded a lot more. I really think that the rappers, just like most Americans, did not want to take responsibility for their consumer choices. This article shows that indeed Paul Wall has tried to find non-conflict diamonds, which is cool, I just wish more was said about it in the movie.